Canning recipes – canning tomatoes, canning salsa, jam, preserves, pickled, etc! We offer to you a lot of canning recipes: tasty canning salsa, recipes of canning tomatoes, delicious jam recipes, tasty canning tuna, pickled peppers, canning cucumber recipes, strawberry jam and others dumpling recipes for you. 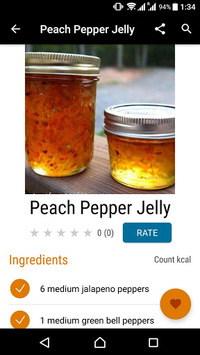 All canning recipes are presented with simple and detailed instructions and photo. 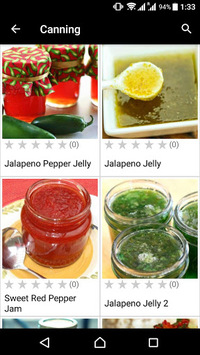 All canning recipes are divided into the categories for easy use. You can find a recipe for your mood! 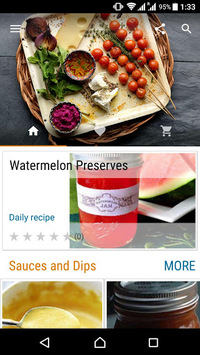 There is simple searching in the app by the name or by the ingredients. Easy recipes using ingredients you already have in the kitchen. The majority of recipes we offer can be both prepared and cooked in 30 minutes or less, from start to finish. •	Red Beet Eggs and much more!